Are you looking for high nutritious food for breakfast? Don’t forget to add Peanuts or Peanut butter in your menu. It has numerous benefits packed in small shell. Let’s start breaking the shell to grab the goodness. The Peanuts are packed with rich proteins which are very good for children and it is incomparable with any other nuts in this segment. The unsaturated fats found in Peanuts are good for health and it controls the blood cholesterol level. This is a high fabric food, the vitamin E & B in peanuts helps to control the heart related diseases. It is the high source for minerals which has lots of health benefits. If you take Peanuts regularly it helps to reduce the risk of diabetes and act as a energy booster. When you take peanuts, it gives you the feel of fullness, resulting eating less, which leads to weight loss. Peanuts boosts your memory power and helps to fight depression to some extent. Peanut butter act as a good combination for garlic bread or crisp roast and it is a comfortable dish for butter sandwich. 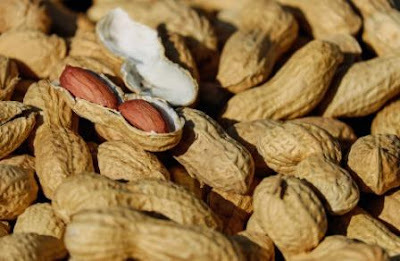 But, if you are allergic to peanuts, don’t make a try and you need to get these peanut benefits from other sources like fruits and vegetables. Now I'll NEVER feel guilty for sticking my finger in the peanut butter jar!!!! Actually I love boiled peanuts. Thanks for sharing the info. I do love them, and with garlic, double yummy. I eat lots of peanuts and natural peanut butter without any additive. Thanks for the information and thanks for leaving comments on my blog. Peanut butter is one of my favorite foods. I like to stir some into my oatmeal in the morning or eat it spread on toast. I really like snacking on peanuts as well. peanut butter on english muffins, my very most favorite!! i LOVE nuts, almonds are my favorite snack food!! It's nice to know peanut butter is good for your health. It's one of my favorite foods. My Blue Jay birdies also love peanuts… They must know how healthy they are. Who loves peanut butter???? I DO. Wonderful! I love peanut butter! I love peanuts but I had to restrain myself from buying because my son is allergic to it. Peanuts and peanut butter are so great. I grew up in Sweden without them, but that was a long time ago. Hopefully, they import them now. I always missed those boiled peanuts in the philippines, if only i could buy some here fresh from farm so i could boil it the way we do it there. Sigh. I LOVE peanut butter!